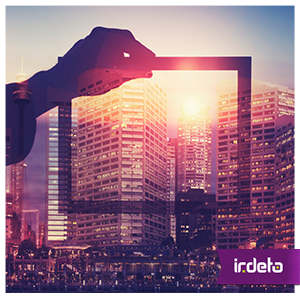 For years, Irdeto has helped companies in the media industry solve a lot of the same kinds of security problems you’ll be facing as you navigate a disrupted payments & banking landscape. This experience has provided us with a unique perspective on how factors affecting the industry will impact your security needs. In this blog I will share this perspective with you, providing insights and practical tips that will help you guide your company safely through the rough seas ahead. Digital disruption in payments & banking is the byproduct of a “perfect storm” of factors. On every front, traditional financial service providers are facing startling new realities. On the governmental front, new regulations (e.g. PSD2 in Europe) are in force. On the competitive front, a wave of unconventional players is entering the market. On the customer front, the pressure to provide greater financial access is inescapable. And each of these waves of change is being fueled by the technological capabilities of open APIs. At the same time, cybercrime has evolved from single hackers with a laptop and fake IP address, to resilient, highly skilled organizations executing global cyber attacks. It’s all a lot to think about, let alone navigate successfully. Although we’re just launching the blog now, we’ve been thinking about how to tackle the unique security issues facing your industry for some time. And yes, there are a lot of challenges, but we know how to help you turn those into opportunities. In fact, we’ve designed solutions that address some of the most stubborn security issues plaguing payments & banking today. Application and API protection to name two. But don’t worry, I won’t use this blog to spam you. In the coming weeks, I will be discussing topics such as the threat of malware and man-in-the-middle attacks, what PSD2 means for your cyber security, and how the right security can enable you to move forward with confidence in a disrupted landscape. Want to make sure you don’t miss a posting? Subscribe here to receive the Irdeto payments & banking security blog in your inbox. This entry was posted in Payments & Banking and tagged API, API protection, banking, cybersecurity, fraud, Irdeto, payments, PSD2, PSP. Bookmark the permalink.